Downloadable file located at the bottom of this page. The Middle East Policy Council has tackled numerous subjects from defense cooperation and foreign policy in the Middle East to humanitarian crises and hot topic issues like the Iranian nuclear negotiations at its quarterly Capitol Hill Briefings series and in the Middle East Policy Journal. One frequently addressed interest is the Arab-Israeli conflict, which continues to fester without much prospect of a resolution, though not for lack of trying. Readers can find a number of resources on the conflict across the TeachMideast website. Students need to understand the history of the region and the extensive meddling of foreign actors in order to grasp the reasons for the current impasse. There is no quick fix and successive world leaders have had meager success in even facilitating conversations between Palestine and Israel, which is why MEPC keeps this subject at the fore. Here are some transcripts of talks given at MEPC Capitol Hill forums on the Arab-Israeli conflict to show how the climate and conversation differs among specialists and continues to evolve over time. Who do you think has the most valid point of view? Why? How do you think the problem will be solved, and why does it matter? The following is an edited transcript of remarks by Chas W. Freeman, Jr. to the Middle East Policy Council’s 71st conference on Capitol Hill in January 2013 about U.S. policy towards Israel and Palestine. Ambassador Freeman is the president of Projects International and the former U.S. Ambassador to Saudi Arabia. There has been no American-led peace process worthy of the name for nearly two decades. There is no prospect of such a process resuming. No one in the international community now accepts the pretense of a peace process as an excuse for American protection of Israel. Eleven years on, the Arab and Islamic peace offer has exceeded its shelf life. On the Israel-Palestine issue, American diplomacy has been running on fumes for some time. It is now totally out of gas and universally perceived to be going nowhere. Sadly, barring fundamental changes in Israeli politics, policies and behavior, the longstanding American strategic objective of achieving acceptance for the state of Israel to stabilize the region where British colonialism and Jewish nationalism implanted it is now infeasible. In practice, the United States has abandoned the effort. U.S. policy currently consists of ad hoc actions to fortify Israel against Palestinian resistance and military threats from its neighbors, while shielding it from increasingly adverse international reaction to its worsening deportment. In essence, the United States now has no objective with respect to Israel beyond sheltering it from the need to deal with the unpalatable realities its own choices have created. The key to regional acknowledgment of Israel as a legitimate part of the Middle East was the “two-state solution.” The Camp David accords of 1979 laid out a program for Palestinian self-determination and Israeli withdrawal from the territories it had seized and occupied in 1967. Israel has had more than 45 years to trade land for peace, implementing its Camp David commitments and complying with international law. It has consistently demonstrated that it craves land more than peace, international reputation, good will or legitimacy. As a result, Israel remains isolated from its neighbors, with no prospect of reversing this. It is now rapidly forfeiting international acceptability. There is nothing the United States can do to cure either situation despite the adverse consequences of both for American standing in the region and the world. The United States has affirmed that, regardless of how Israel behaves, it will allow no political distance between itself and the Jewish state. In the eyes of the world there is none. Israel’s ill repute corrodes U.S. prestige and credibility, not just in the Middle East but in the world at large. The United States has made an enormous commitment to the success of the Jewish state. Yet it has no strategy to cope with the tragic existential challenges Zionist hubris and overweening territorial ambition have now forged for Israel. The hammerlock the Israeli right has on American discourse about the Middle East assures that, despite the huge U.S. political and economic investment in Israel, Washington will not discuss or develop effective policy options for sustaining the Jewish state over the long term. The outlook is therefore for continuing deterioration in Israel’s international moral standing and the concomitant isolation of the United States in the region and around the globe. The following is an edited transcript of remarks by William Quandt, also at the Middle East Policy Council’s 71st conference about U.S. policy towards Israel and Palestine. Dr. Quandt is a professor at the University of Virginia and a former member of the National Security Council. We can’t pretend the Israel-Palestinian conflict no longer matters just because we’re tired of it, though many of us are. It has the potential, as the recent Gaza crisis showed, to flare up and risk spreading. The new conventional wisdom seems to be that the two-state approach is dead. Maybe it is, but it was never seriously tried, in all honesty. President Bill Clinton in December 2000 broached an imperfect outline of what a two-state solution might look like, and in 2008 Israeli Prime Minister Olmert and Palestinian Authority leader Mahmoud Abbas pushed the model a bit further. When they needed assistance to bring it to a successful conclusion and turned to the Bush administration, they got no help whatsoever. So we have been at a dead end since then. The current Israeli government seems uninterested. The Palestinians are divided. But I still think that Secretary of State John Kerry owes it to himself to do due diligence on this issue. You can’t pretend it can be ignored. He needs to at least engage seriously, in early days of his tenure, in the serious talks with all of the interested parties. He certainly should not waste his time—the president must know this by now—in trying to engage in confidence-building measures. We have been through a decade and a half of the pursuit of tiny little steps to build confidence between Israelis and Palestinians. It simply doesn’t work. It is also futile to say, let’s get the parties back to the negotiating table, as if that by itself will provide some magic in the absence of prior agreement on the broad outlines of what a negotiation would be about. Oddly enough, some people argue that we shouldn’t bother with the Israel-Palestinian initiative because the conflict is too hard to solve. Yes, of course it’s hard. If it were easy, it would have been solved long ago. But often this is said by the same people who urge intervention in Syria or Iran. My view is that the latter cases are much more difficult and much more risky and likely to be much more costly than tackling the Israeli-Palestinian conflict. We know, broadly speaking, what the contours are of Israeli-Palestinian diplomacy. Yes, it’s tough, but I don’t think it’s impossible. It just takes an act of extreme political will, which is hard to mobilize in Washington. It’s hard to mobilize anywhere. It takes energy and effort by sophisticated and tenacious diplomats, but otherwise it doesn’t entail big costs or risks. If we try and fail, it’s not the end of the world. If by chance we were to succeed, which I think is unlikely, the benefits would actually be quite substantial. So I would keep Israeli-Palestinian peace as part of what a sensible strategy for the new Middle East should be. We should do so without illusions, but I don’t think we can abandon our interests and concern with it. But it should be part of a broader approach that places priority on the big-three countries of Iran, Turkey and Egypt. A little over a year later, on April 25th, 2013, specialists convened at the 72nd Capitol Hill Conference to revisit the subject took place in the Rayburn House Office Building. The discussion tackled the problem of expanding the space in U.S. media for a more frank public debate on U.S. foreign policy toward Israel. Several of the speakers’ comments are included here. Can you discern any difference in the speakers’ tone? Firstly, here are Henry Siegman’s remarks on U.S. policy towards Israel and Palestine as discussed during the conference. Mr. Siegman is the president of the U.S. Middle East Project; for additional information on his work, please visit: http://www.usmep.us/usmep/director/henry-siegman/. I am a Zionist. I am not only not opposed to a Jewish state, but I spent much of my early life supporting and defending it. My understanding of Zionism was shaped by the early founders of the Zionist movement who would be appalled if they knew what their historic experiment has actually yielded. It became clear to me in the mid-‘70s that the principles of the early founders of the Zionist movement were being violated by successive Israeli governments. The assumptions they made about the kind of society that would be shaped by the Jewish state turned out to be false. This is not because the enterprise of developing a Jewish and democratic state was inherently false, but because the people who came to power in Israel, who led its governments, tragically and sadly seemed to have learned absolutely nothing from 2,000 years of Jewish experience. That is when my attitude, not to the idea of a Jewish state but to the policies of the government of that state, changed so completely. To begin with, the Middle East peace process is probably the greatest scam in modern diplomatic history, and future historians will be in absolute awe over how it was pulled off. From the day after the 1967 war, there has not been a single Israeli government that has seriously considered the possibility of allowing a truly “independent” and “sovereign” Palestinian state — terms implicit in the Oslo Accords and explicitly used by the so-called “roadmap” that everyone vested in negotiations, including the United States, Israel and the Palestinians, signed on to. Even Benjamin Netanyahu committed himself to a two-state accord in his Bar-Ilan speech. But, no Israeli government entertained the idea that the West Bank might not remain under Israel’s complete control. The chosen instrument for establishing that permanent control over the occupied territories has been Israel’s colonial settlements project. Consequently, if one asks why the peace process has failed, why we are facing the situation we’re facing today, it’s because the policy of Israel has been from the outset not to permit an independent viable and sovereign Palestinian state to ever come into being. I believe they have succeeded in that. I don’t think the two-state solution is on life support. I think it is “history”; it is gone. And the reason it is gone is because the settlement project has become irreversible. The reason the American public, it turns out from recent polls, is overwhelmingly supportive of the Israeli position — and only a tiny minority has any sympathy for the Palestinian position — is because the American public generally is largely uninformed about foreign affairs and geography. I mean, ask most Americans to identify countries in Africa or Asia on a map; and, much less, to know what is really going on there. That’s part of the problem. If there isn’t a two-state solution, it is not only because of the policies of Israeli governments but because the U.S. White House and the Congress never had the political and moral courage to act on that expectation. The United States will not come to the rescue. What hope there still is lies not with the United States, not with the Europeans, and not with the international community. It lies instead with Palestinians themselves — with Palestinian civil-society activists, with the leaders of Palestinian villages and towns who have been conducting non-violent resistance against the occupation. For them, the issue is their dignity and rights. They don’t care whether it’s in a state that’s called Israel or a state that’s called Palestine. But they will not accept their permanent disenfranchisement and dispossession. If they will act courageously on those demands, as I believe that sooner or later they will, they may yet achieve their goal. Here is the edited transcript of remarks by Stephen Walt at the conference. Dr. Walt is a professor of international affairs at Harvard University. If you want to know why Middle East policy here in the United States has been replete with failures over the past several decades, one reason has been our inability to have a candid and honest discussion about it. And as long as our public discourse on this topic is warped, our foreign policy is going to be warped too. We’re going to need a more open discussion. For the past 15 years or so, the idea of a two-state solution has been the consensus goal of the foreign policy establishment. This was not true before then. The Oslo Accords do not mention a Palestinian state. 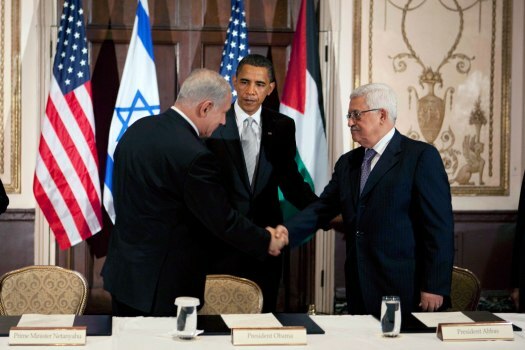 Since Camp David in 1999, however, the two-state solution has become the default. Even if we aren’t making any progress, they can always say that our ultimate goal is two states for two peoples. The problem is that this goal is further away than ever. Many serious analysts in the United States and in the Middle East, including Israel, believe it is now impossible. The number of settlers in the West Bank and East Jerusalem exceeds 600,000. The Palestinians themselves remain weak and divided, and cannot put meaningful pressure on Israel or negotiate in an even way. The current Israeli government is dead set against the creation of a viable Palestinian state, and politics there have been drifting to the right for a couple of decades. Moreover, Israel is now dependent on water from aquifers in the West Bank, which makes it harder and harder to imagine how a viable, genuine Palestinian state could be created. Obama’s failure to make progress on this issue or to slow the expansion of settlements has made it clear that the United States will never be a truly honest broker. At some point, you won’t be able to say you support a two-state solution without making people laugh. It just won’t be credible any longer. When that day arrives, people will want to know what the United States is in favor of instead, which means we need to be able to have that kind of honest discussion of where we’re headed. Why is it so hard to talk about this? Well, the main obstacle to open discourse on this subject is the Israel lobby, which works very hard to shape what Americans hear, read and know about the conflict. And it does this in two ways, one of them completely legitimate, and one of them completely illegitimate. The legitimate activities are its own efforts to portray Israel in a favorable light, to blame the region’s problems on others and to convince Americans that unconditional support is in America’s national interest. Groups like AIPAC, the Washington Institute, the Conference of Presidents and many others work overtime to promote their side of the story, and they’re very good at it. They’re aided by various publications like the Wall Street Journal, the Washington Post op-ed page, the Weekly Standard and others, and of course by various think tanks in Washington that receive lots of support from people or groups sympathetic to Israel. Some of you might think this is undesirable, but there’s absolutely nothing wrong or illegitimate about this sort of behavior. It’s how our system works. Unfortunately, some individuals and groups in the lobby also do some things that I regard as wholly illegitimate and contrary to that liberty of thought and discussion we’re supposed to have here. And I refer here to the repeated efforts to silence, smear or marginalize anyone who criticizes Israel’s actions, questions the special relationship or points out the power of the lobby itself. Anyone who does this is certain to be accused of being an anti-Semite, or if they’re Jewish, accused of self-hatred. Any organization that invites people with different views to speak will get flooded with phone calls, demanding either that additional speakers be put on for the sake of balance or asking that the original speaker be disinvited. We need to expose how the other side works. Free speech is a very powerful principle in the United States, and most Americans don’t like the idea of suppressing debate. When groups in the lobby try to suppress free speech, it’s important to publicize that that’s exactly what they’re doing. But please note, the goal is not to silence them, to keep them from participating: The goal is to delegitimize the use of smear tactics and make them backfire. We’re not arguing in favor of one group over another. We are arguing for policies that would be better for the United States, better for Palestinians, better for other Arab societies and better for Israel, too. They are also policies that are much more consistent with American values. It seems to me if we keep making that case in a calm and non-confrontational way, current taboos will continue to erode; we will have a more sensible discussion and a Middle East policy that works rather better than the one we have followed for the past several decades. Most recently, at the 78th Capitol Hill Conference, on Octoer 15, 2014, panelists resumed conversation by looking specifically at the record of the United States vis-à-vis the Israeli-Palestinian conflict. Has the U.S. Failed? Here, Youssef Munayyer, the Executive Director of the US Campaign to End the Israeli Occupation and former Executive Director, Jerusalem Fund and The Palestine Center, shares his thoughts on the question. So, what’s changed since 2002 (Arab Peace Initiative)? The laws of war certainly have not. Instead, what has changed is that Washington is even more willing to sit idly by as Israel flaunts the laws of war on greater and more horrific scales, while still supporting them with arms, aid and diplomatic cover. There’s a reason why the Israeli prime minister is welcomed more warmly in Congress than he is in the Knesset. Washington has directly contributed to the growing culture of impunity in Israel by consistently failing to punish Israeli violations, and Israel continues to push the boundaries, both literally and figuratively, as if to explore the greatest extent of American tolerance. Instead of using its leverage over Israel to get it to comply with international law, Washington has used its leverage internationally to ensure Israel never has to. The definition of failure, according to the Merriam-Webster’s dictionary, is quote “the state or condition of not meeting a desirable or intended objective.” So to say U.S. policy on Israel-Palestine has failed presupposes that Washington not only desires a just peace agreement but also that they’ve actually tried to achieve one. Neither seems obviously true. In fact, what the U.S. desires is preserving Israel, even if that means Israeli leaders define that through perpetual occupation. In this, U.S. policy has succeeded. And behold Israel-Palestine today: an apartheid status quo, the fruit of American policy success. This apartheid reality must change, but the pressure necessary to change it certainly will not come from this town, not any time soon at least. Barring revolutionary change in Israel-Palestine policy, this pressure must come from elsewhere. The only avenue left is the international isolation of the Israeli state – and I emphasize here the Israeli state. There is a significant misunderstanding of the isolation efforts or efforts like BDS, which assume that it is targeting Israelis or accused that the failure to focus specifically on settlements somehow means that the target is Israelis in general. But the reality is, it is the state which is crafting these destructive policies. It is the state that is financing and creating infrastructure for these settlements. They do not appear on hilltops by themselves. It is because of a conscious effort of the state and with the support of the United States of America that the Israeli state is able to do this. Of course opponents of this approach will say – and they may have said it here today – but if you do that, you will alienate the Israeli public. To this I would respond: The Obama administration can barely compete with Netanyahu and the right wing over the prevailing opinion in Congress. How can they expect to compete with him with his own public? It is – in fact it is only when the Israeli state is alienated that its public will seriously begin to question the positions of its leadership. Today the Israeli public is largely supportive or apathetic to apartheid policies because it comes with little consequences for them. It’s high time that this changes. Also, and perhaps more importantly, why should Israeli public opinion hold a veto on basic Palestinian rights? For Israeli behavior to change, the denial of Palestinian rights cannot come cost-free. Any party that contributes to tipping the scales in that direction is doing a service in the pursuit of peace. If Washington wants to finally join this effort, it will find far more allies than opponents. If you would like to download this document in .docx form, please use the Download link below the view pane.